Shaun grew up putting on parties in and around Detroit, starting off in small bars and attic spaces, booking the likes of Magda, Dan Bell and John Tejada to play for him. During this time he started drawing deep inspiration from the early Perlon records and listening to sets from its label boss Zip, in 2004 Shaun decided to make the bold move to Berlin closer to the source of this sound. Since his move to Berlin, Shaun Reeves has been enthralling audiences on both sides of the Atlantic with his own highly distinctive mixture of American house, both classic and contemporary, and the deepest, most cutting edge aspects of post-minimal techno and tech-house. 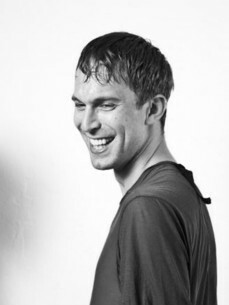 In addition to playing in Berlin's celebrated Panorama Bar, Watergate, the legendary Beatstreet loft parties and holding his ‘Soul Shower’ summer residency at Club Der Visionaere, he has appeared at DC10 (Ibiza), Fabric (London), Robert Johnson (Frankfurt), Cityfox (Zurich), Sankeys (Manchester) and played for Wolf+Lamb at The Marcy Hotel (NYC).